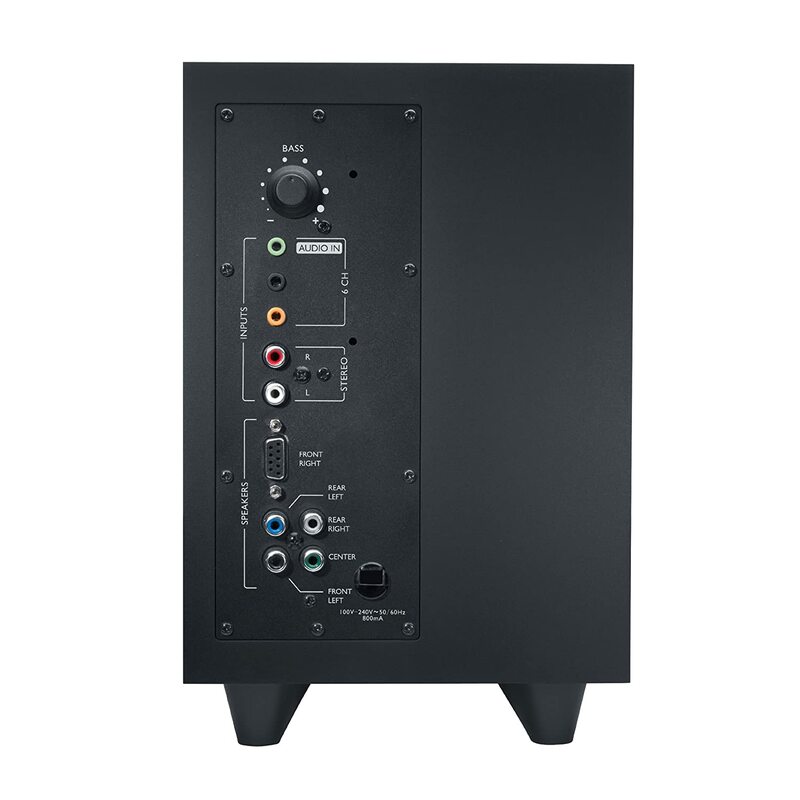 5.1 surround for PC gaming? Discussion in 'Computers & Technology' started by Sandwich, Nov 28, 2012. I have a rather large PC tower gaming system. I have an excellent 24" monitor and a gaming keyboard and a gaming mouse. I have 10 year old Altec 2.1 speakers. (honestly, they sound pretty good for what they are). Anyways, I want to move to something 5.1 so I can play with surround sound. It looks like nobody really makes 5.1 PC systems anymore. The room that it's in is a small office (9x11 or so) that's perfect for a low-wattage system, and i don't need room shaking sound as it's not that big of a room (or house). I already have a nice home theater system hooked up (kind of) to the TV in the family room, so I want something separate and cheap, at less than $150. I'm open to the notion of headphones if they're good quality with surround emulation. My computer has optical and coax outs. The only receiver I have besides the home theater system is older and does not have the appropriate ins, though it otherwise works perfect. Wow you are not kidding only 3 choices of 5.1 speakers on newegg! I have to assume your computer also has analog 5.1 audio outputs, which is what you will need for most PC speakers. Digital outputs are great for movies, but most games do not output Dolby Digital or DTS, so if you used those outputs you would only get stereo sound anyway. Only the expensive speaker sets can decode digital signals. How do you like those logitechs? OK? Those are the ones I have my eye on. My PC has optical, coax, and green flavor 1/8" outputs. I'm not sure what inputs those speaker systems have. It looks like I can buy a newer sound card, the Asus Koran or something like that, and it'll give me "dolby headphone" which is the surround sound emulation for headphones. I can buy that for $25 or 40, and regular headphones, and bob's not literally my uncle. Otherwise it's the logitechs or some yamahas of similar price. you wont find the cheaper products with a DD decoder built into them. Logitech's $400 system has it but thats a lot of money. there are actually a lot of games that are DD or DTS but ive found analog 5.1 is good enough for these small speaker setups. They are fine, no issues really. The bass knob is kind of finicky now from being pushed up against the back of my desk over the years. But sound quality is totally acceptable for a sub $100 set of speakers. The Z506 should be even better because there is a separate midrange and tweeter, where as mine are just one midrange cone. Do you have a soundcard now, or the onboard mobo sound? Either way it should have analog 5.1 output, which is usually a green, orange, and black 1/8" jack. This is still the best way IMO since you will get full compatibility with any game. The Z506 only has analog inputs anyway.